6. 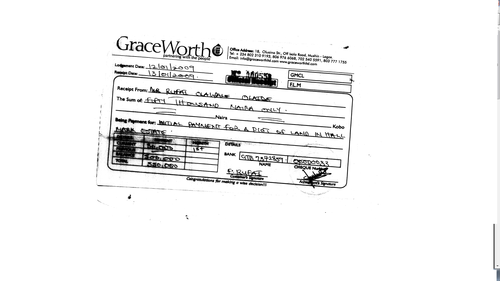 After you make Payment to their designated bank or mode of payment, make sure you have copies of the Bank Cheque or Draft or Teller/Slip acknowledged by the Real Estate Firm that they have received your money. Immediately you should be issued a RECEIPT from the Real Estate Firm in Favor of you with the date and full amount that you purchased this Land or Lands from them. 7. After you have been Issued a Receipt, make sure you are Given a LETTER OF ALLOCATION from the Real Estate Firm. 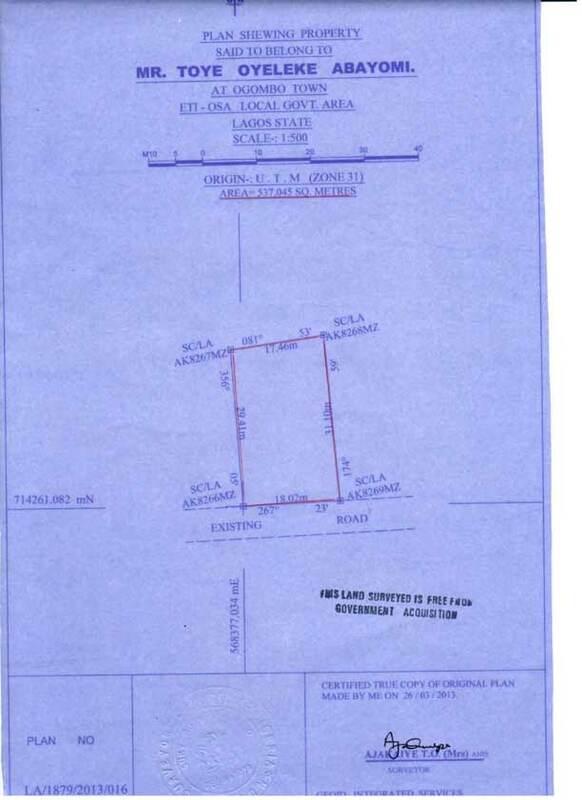 This Letter of Allocation should state that your payments have been received and you have fully paid up and subscribed for that land with description of the Plot and Block Number shown to you on the Layout. This Letter of Offer SHOULD BE SIGNED BY EITHER A DIRECTOR OR SECRETARY OF THE FIRM and not just any Staff. 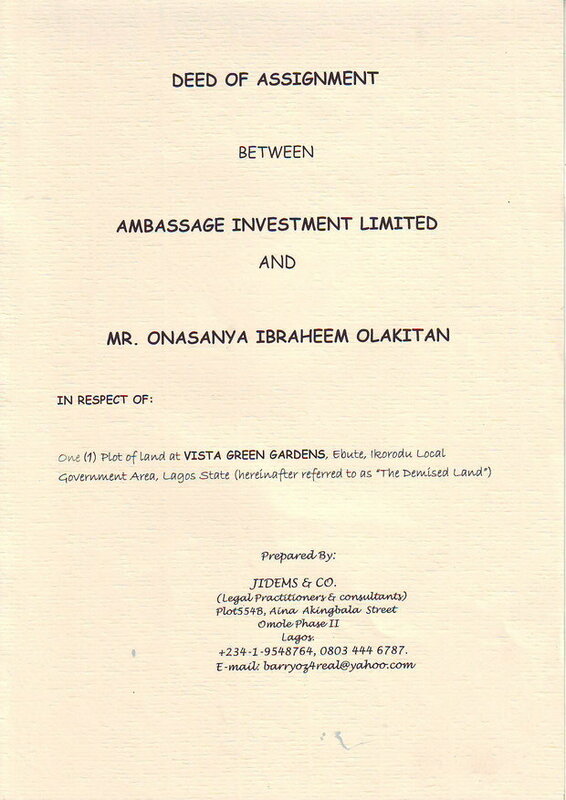 This Letter of Allocation is a very Important Document that You must demand for and must keep sacrosanct because it’s your first line of defense against the Real Estate Firm in case any dispute is to arise or doubts with respect to the particular plot or land you were given. Without this Letter of Allocation, it will be very difficult to prove which plot or section was sold to you and if you have fully completed payment. If they tell you it is not necessary, make sure you make them make it necessary for you because this could be your life saver in future. 8. Once the Letter of Allocation is given to you, the next document you must demand for is a CONTRACT OF SALE between the Real Estate Firm and You. 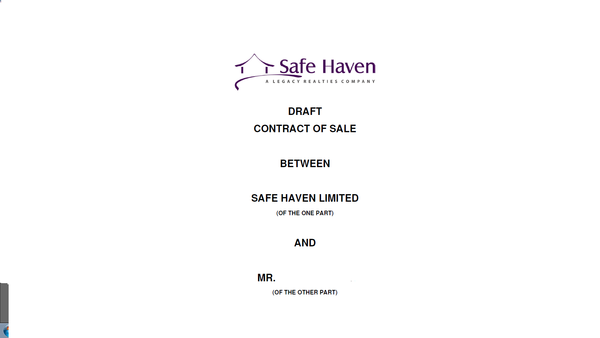 This Contract of sale states all the terms and conditions that both parties must abide with. It provides for all the dos and don’ts in the Estate and the responsibilities between the Real Estate Firm and the Buyer that should be abided with. It lists all the covenants that the Buyer owes the Real Estate firm to fulfill and the one the Buyer must confirm with for there to be a Successful Transaction. 9. After the Contract of Sale has been give to you, the Real Estate Firm should within a reasonable time and i don’t think within 1 month is too long for them to prepare a SURVEY PLAN in Your name and draft a DEED OF ASSIGNMENT in your favor. These 2 Documents are extremely important for you to be able to claim possession in the eyes of the Government. The Survey Plan must show all the area, square meters, location, beacon numbers, the survey plan number, seal of the surveyor that did it and the date the Survey plan was done in your name that must be carved out from that plot and block number that can be derived from the Layout that was previously shown to you at the beginning. 10. Meanwhile the Deed of Assignment is an Agreement between the Seller and Buyer showing evidence that they have fully transferred the Land to you legally. It is the main document you need from the Real Estate Firm to show proof of ownership of the Land and it is this document that you will need to perfect your title in the eyes of the State or Federal Government if need be. These 2 Documents aka the Survey Plan and Deed of Assignment must be in you possession before you can heave a sigh of relief that you are now the true owner of that Land and the Real Estate Firm has fulfilled its own promise to grant you ownership of the Land. Every Single Document i have listed in this article is extremely important for you to demand from the Real Estate Firm unless you just going to be another Victim of these Bad Real Estate firms that have nothing good to offer you. Also get in touch with the Real Estate developers of Nigeria (REDAN) to get more Info about the Estate you want to deal with.